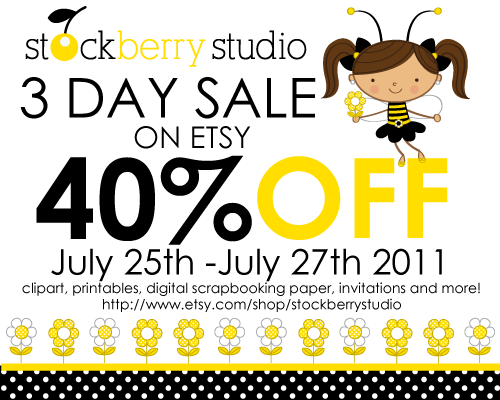 Stockberry Studio's Etsy shop 40% OFF Everything 3 day SALE!!! Monday, July 25th - Wednesday, July 27th. USECODE JUL2011. Please visit Stockberry Studio's shop for more details.